Union Agriculture & Farmers Welfare Minister Shri Radha Mohan Singh has said that in the last four and half years, the Ministry of Agriculture and Farmers’ Welfare has taken several steps and started various schemes to transform Indian agriculture like neem-coated urea, Pradhan Mantri Fasal Bima Yojana, Har Khet Ko Pani, e-NAM, strengthening of Gramin Haat, Rashtriya Gokul Mission, MSP, income support of Rs 6000 to farmers, KCC for Animal husbandry and Fisheries, Rashtriya Kamdhenu Ayog, separate department for Fisheries etc. 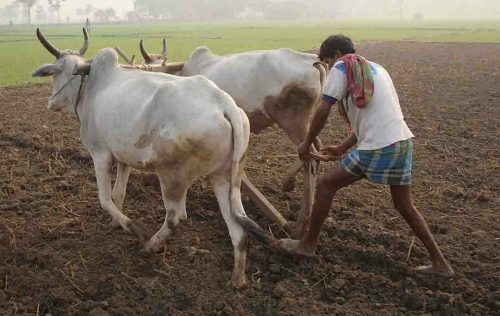 The budgetary allocation for the Agriculture and Farmers’ Welfare Ministry has been raised by around 2.5 times from Rs 58,080 crore in 2018-19 to Rs 1,41,174.37 crore in 2019-20. In fact, the budgetary allocation of Rs 1,41,174.37 crore in 2019-20 is 16.6% more than Rs 1,21,082 crore during UPA (2009-14).